Archive by Category "Auto Repair Services"
Before driving the car, take the time to visually examine the tires. Inspect the tread for deep wear and tear, and also look for holes, nails, screws, or any damage that could have been done to the tires while the car was parked. It’s always possible for something to happen to a vehicle while it’s sitting parked, especially if a person regularly parks in a lot, garage, or other unsupervised location. An oil change is another important part of vehicle maintenance that should never be neglected. 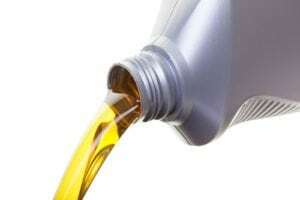 It’s vitally important that there always be the correct amount of the correct type of oil in a vehicle so that all of the engine parts can move appropriately. Otherwise, there’s a serious risk of parts binding up or the engine seizing completely. When a driver doesn’t know how to change their own oil, it’s important to schedule an appointment to have this task done. Windshield wipers may seem like a small insignificant purchase, but they can make the difference between a safe drive and an unsafe one in rainy weather. When wipers start to fray or become worn, it’s important to take the time to change the wiper blades out with a new set so that the vehicle’s windshield stays clean and clear no matter the weather. A vehicle needs clean battery contacts in order to start cleanly and smoothly. Otherwise, there’s a risk that it will stall not start properly. Keeping the terminals clean and clear is an important part of maintaining a vehicle correctly so that it will start smoothly every time it is needed. If one doesn’t know how to do this and is curious about the state of their battery, any service shop can help you with this simple task. Those who want to avoid paying for a more expensive auto repair in Longmont need to make sure that they take the time to take care of ongoing maintenance needs instead. Taking the time to handle these tasks can help prevent major problems with a vehicle from developing as time goes by and ensure that everyone riding in the vehicle is as safe as possible. Otherwise, there is always the risk of a serious crash happening as a result of equipment failure. There are a lot of service options out there for car care. Even though you’re not a mechanic, you should still know as much as you can about certain services and why they are important to the life of your car. Today we’re talking about tire or wheel alignment and why it matters. It’s complicated, but essentially it means that the tires on your car are straight and in line with the rest of the car. If you’re driving down a straight road (and there aren’t other cars around! ), take your hands off the steering wheel briefly and watch to see if your car is pulling in one direction or another. If that’s the case, there may be a problem with your car’s alignment. In short, it’s sometimes the little things that can throw your car out of alignment: hitting a pothole, bumping a curb, and simply wear and tear. Over time, as your vehicle ages, joints start to get looser and rubber starts to wear down. This can also contribute to structure problems. Even if your car is only slightly out of adjustment, it can cause uneven tire wear and make it more difficult to control your car. If you think about the car like you would a human, you wouldn’t want to wait to get continual aches and pains taken care of. Misalignment could almost be compared to a twisted ankle. You may start favoring the other ankle, leading you to limp and overcompensate and possibly make the problem worse by not treating it. When a car is out of alignment, tires wear down faster, which isn’t good for the car, and it certainly isn’t good for your wallet. The other problem is simply an issue of handling. It becomes physically harder to drive your car when the wheels don’t want to go where they are supposed to go. How Often Should I Have My Car Checked? It’s not unusual to have your car checked frequently, meaning every other oil change, which could be somewhere between 6,000 and 10,000 miles. Many service centers have deals offering a lifetime alignment service for the life of your car, which can be a worthwhile investment. If you live in the Longmont area and you think that your car isn’t performing optimally, especially with regard to driving in a straight line, you should take your car into the service center and speak to a technician. The worst thing you can do for your car when it’s not performing well is to ignore it and hope it goes away. Deal with the problems as soon as they arise – car troubles tend to get worse with time and driving. The best thing you can do for your vehicle is to stay on top of routine maintenance. Humans don’t go long in between medical check-ups or dental cleanings, and your car shouldn’t be neglected either. We’ve put together a list of some of the most common maintenance areas of which to be mindful, and how often they should be addressed. Oil is the most important fluid your vehicle needs to function. Oil lubricates the engine and prevents catastrophic engine damage from heat and friction. Over time, however, the oil filter gets dirty, and the oil starts collecting engine debris. To keep your engine functioning properly, your car needs regular oil changes. 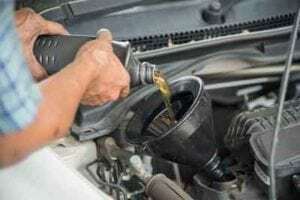 Tradition is your car should get an oil change every 3,000 miles, but the reality is that it depends on your specific car and the way you drive it. To start, check your owner’s manual. Your manual will be able to tell you your limit, which could actually be every 3,000 miles, but it could be 10,000 miles. Alternatively, you can talk to a service center, and they may ask you questions about how much stress you put on your vehicle, which can also impact oil change intervals. Every engine has an air filter that stops larger particles from getting into the engine. A clogged air filter can have a minor impact on fuel economy, and it can impact acceleration. Either visually inspect the filter or have a service technician make a recommendation. The owner’s manual will offer a recommended interval, which is often around 30,000 to 45,000 miles, but varies based on the severity of driving conditions. If you find yourself faced with a technician who recommends a new air filter every time you go in for an oil change, you may want to look for a new service center, as an air filter change doesn’t typically happen multiple times a year. Not all cars have one, but if yours does, it needs to be replaced every 50,000-75,000 miles, or as your owner’s manual recommends. This is a critical piece of maintenance—if the timing belt breaks, you’ll be left stranded on the side of the road and faced with repairs that can cost hundreds, or even thousands, of dollars. Longmont residents who expect their car to live a long life need to stay on top of maintenance. 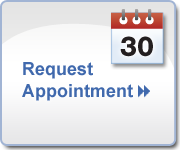 Write a schedule or talk to your service center to estimate when you might need to take your auto in for maintenance over the course of the year. What you spend on maintenance will pay you back in an extended lifespan and an absence of surprise repairs.